North American & Caribbean. North American dialing pattern. CASH+ Call Accounting is designed and developed by Hansen Software Corporation. CASH+ is compatible with business phone systems such as Avaya, Allworx, Cisco, PhoneSuite,Toshiba, Inter-Tel, Mitel, Samsung, Grandstream, Panasonic, Shoretel, NEC, Nortel, Vertical Zulty's and MANY more! From Hotels, Law Firms, Sales Organizations to Long Term Care facilities CASH+ can be used as a valuable tool in many industries. Install CASH+ onsite at your office for powerful reporting. 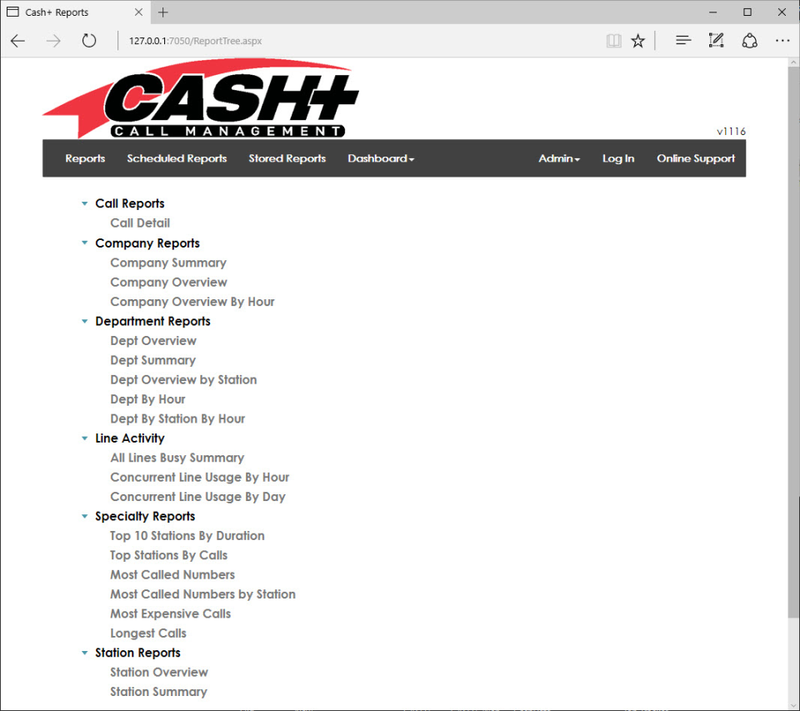 CASH+ Call Accounting Software Reviews Recently Reviewed! Pros: It allows the tracking of phone calls, has many options to adjust your preferred rates or methods of inputting charges for phone calls. Cons: There is not much not to like. It does need proper set-up which can be a bit confusing for anyone that has not set up any software. However, the customer service and support provided by the agents compensates for any difficulty one may have. In regards to setting up, you can give them a call and they can help you step-by-step in the setup process or even assist you via remote desktop connection. Overall: Allows a hotel to monitor calls from guest rooms and inputs the desired rate per any selected time frame an administrator wants to charge by. Very great product and a better staff. Awesome company with a great product and service! Pros: It works as described and is solid. Cons: None at this point and I am a long time user having followed them through several upgrades of the software. Overall: I have used CASH+ at two different locations. The software is great and works as it is reported to work. If issues ever crop up I know I can count on the support staff to make it right. Never had a bad experience with the software, support staff or with follow-up. Recommendations to other buyers: If you are looking for stable, and effective call accounting software then look no further that these guys. The software is solid and support is excellent. Always a good experience working with the staff. Overall: My Cash + software needed to be updated to correct a little hickup we had. I dealt with my reo from the beginning and let me tell you that his Customer service skills were amazing. He not only helped me to get the update up and running on the system but he went ahead and corrected another situation without me even having to ask. He emailed my about all the détails and was always on time when we had scheduled phone calls. I would highly recommend Hansen Software based on my rep's great Customer service skills and also would recommend the Cash + Software. I have just renewed my service plan with Hansen Software and I will make sure I renew it because I know I will get the help I need when I need it. Pros: Value, accuracy, reliability, and customer service & support. 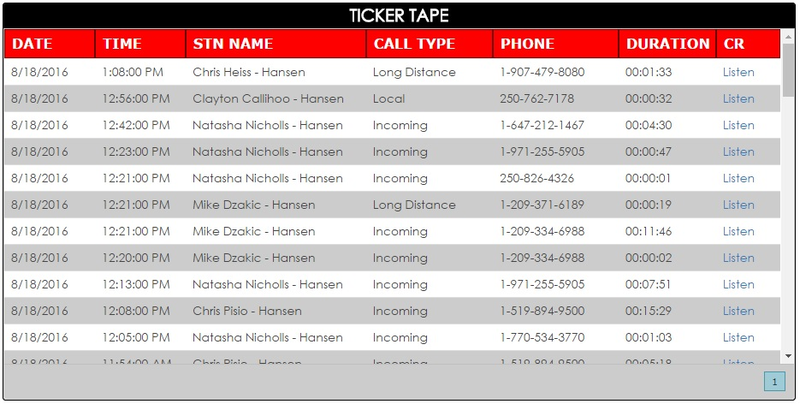 Overall: Hansen Software brought us incredible value with its Call Accounting package, and specifically the Call Recording add-on. From a small-to-mid-sized business perspective, we shopped the competition thoroughly and we would be extremely surprised if you could find a more cost-effective call recording solution. The software is extremely reliable, secure, and full of features for compatibility with many industries. In addition to well-designed software, it's truly Hansen's training and support team that brought value to our customer experience. The support team was highly accessible, professional, and determined to make sure our configuration worked as expected. Hansen Software takes ownership and accountability of their product's performance, which was evident in the attitude and preparation of their support team. Recommendations to other buyers: Not at this time. Good stuff. Always accessible. Software easy to use. Pros: For our purposes, this software is perfect for reporting time and calls. We use this tool primarily for a management tool as we are a sales organization and can monitor the activity of each person. Overall: Again it performs as we expected. 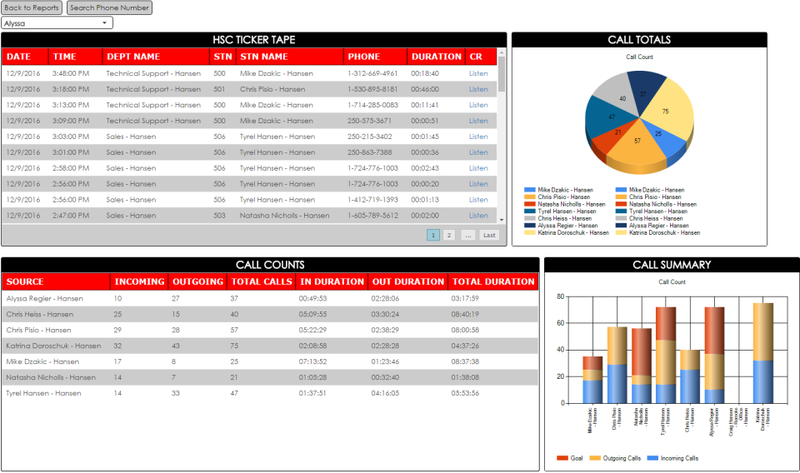 Monitoring call accounting to use as a management tool more than anything else. Hansen followed up to see if we had received our upgrade and applied it or if we needed anything. Pros: For our monthly reporting requirements which we complete once per year, I find that the software is easy to remember how to use. 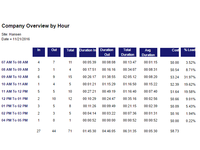 The reports created easily download into an excel spreadsheet and we can sort them that way. I also like that we can pull either by one station, a select group of stations or the whole company as required. We have never lost any data, even at the time electrical services were down for a week, or someone on our end who was untrained tried to "fix" something. Their support services are quick and efficient - an issue I had this morning was updated and corrected within a very short time and their support corrected the issue without holding me up on the line with them. I received a phone call when it was complete. Overall: It is working when I need it. We have had this software now for 7 years and I have only had an issue twice that held me up. Both the issues were resolved in an acceptable amount of time - hours not days. Hansen support is some of the best I've ever experienced. Pros: I'm a technician for a PBX vendor, and the Hansen support staff and engineers were able to work with me on a complex SMDR issue. They were polite, professional, and fixed our complex issue perfectly. Cons: There are no glaring weaknesses, anything we have needed has been sorted out and solved by Hansen support. 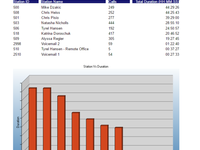 Overall: My customer is extremely satisfied with the data collected with Hansen. Hansen technical support makes ME look good as the PBX vendor. Wow, Cameron, thank you. This is exactly what we strive for. So many of our sales go through PBX Resellers and our goal is to really make sure everyone comes out happy and our resellers feel supported and like we are all on the same team. Pros: The flexibility to help with our customers with any reports deemed necessary. The great response when asking for assistance is unlike any company. Pros: This software is very user friendly and very flexible. There are many different reports that are available and the customer support is wonderful and very helpful. Pros: Very few times I have needed help but when I do its there. It was easy setup user friendly interface it does everything I need and more! Overall: It covers every need I have. Pros: I love the scheduled reports that are sent to my email automatically so I don't have to remember to generate them every month. Cons: Nothing comes to mind, although there are so many features I haven't had time to explore it's hard to say for sure. Overall: The main use for us is tracking our residents' long distance calls for re-billing each month. this program is a lifesaver! Cons: We were not notified about the software upgrade with sufficient notice. This may have been the cause for our issue with not getting calls to be captured on the reports. Overall: We had an issue where our call data had stopped collection within CASH+. Our reps had a sense of urgency to get the problem resolved and were quite helpful. The reports resumed collection the following day. I have always had a good experience working with CASH+ representatives as they are prompt and eager to help. Cash + Call = accountablity. Pros: I really enjoy this software. It really helps keep people accountable in the office. Great tools and customer service. Cons: None really.... really great service. Awesome product. Overall: Every time I needed help, they went above and beyond. Pros: Works as advertised. Interesting to see where phone usage is throughout the enterprise. Updates provided to keep the software working well. Cons: One downfall is there is not a version engineered to work with our particular phone system, so we are missing out on some reports. Comments: We used Hansen Software Corporation to facilitate the installation and reporting of long distance telephone calls by guests when they are at our facility. They installed the software and followed up with telephone training. The company was very responsive to our needs in a timely manner and this allowed us to start using this long distance feature immediately with no down-time to our computer system. The technicians I dealt with were very knowledgeable and friendly. I would highly recommend this company if you are in the market for this type of service. Comments: I have been in tele-com for over 20 years working with many manufacturers and service providers. Hansen Software customer support is better than any other company I have dealt with. Their commitment to insuring our end users receive the best experience should be the gold standard every company strives to achieve. This has been consistent over many years. Each employee I have spoken with has been eager to solve whatever issue is presented and takes complete ownership of it until a resolution is found. Working with Heart Technologies has also been a pleasure. The tech team & sales staff are nothing but true professionals in their field. I do believe that part of our successful relationship stems from your companies drive for excellence as well. Comments: University IT VOIP specialist - 8 years working with Cisco VOIP and 6 months with Cash+. From day one sales rep. to integration with tech support everything went very well. In the last 6 months I've called in about 4 times for assistance and time of respond was less than 2 hours. They've helped us producing special reports in conjunction with Bell Canada Mobility. Cash+ apps that I've have in hand **fee does not** apply to each every user's phone. Technical staff were very knowledgeable and kind. Comments: We have been using CASH+ Call Accounting software for several years. 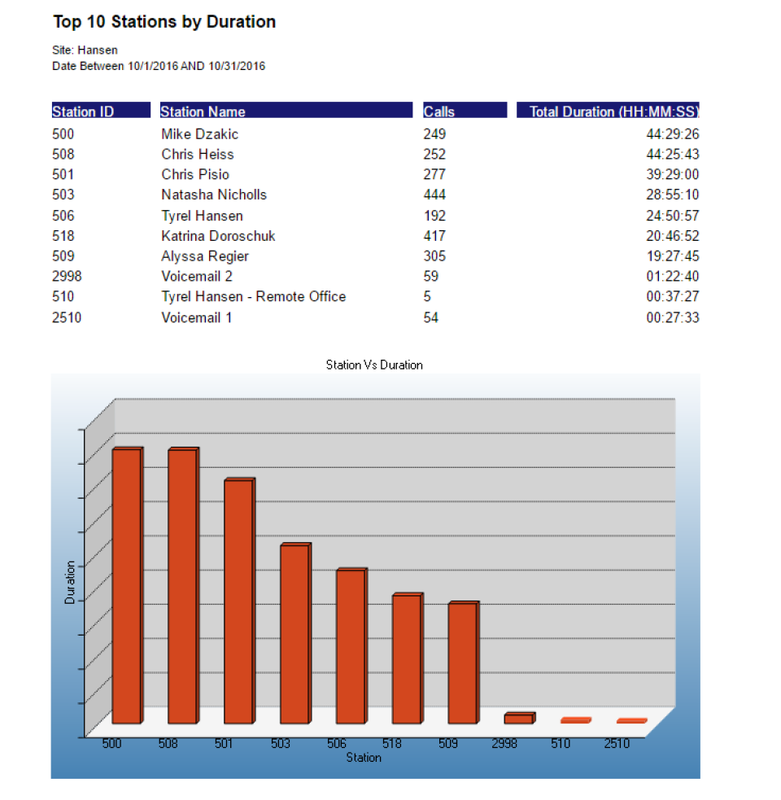 The program is easy to use and provides tons of reports. Every month it automatically generates individual phone extension detail reports which we can send out to our residents to charge back for long distance. I don't have to do a thing; the report magically arrives by email! Customer support from Hansen Software is absolutely the BEST there is, always going above and beyond. Just when I think they couldn't possibly get any better, they surprise me and do just that! Natasha is a true gem, always eager to help and extremely knowledgeable. We are 100% satisfied and plan to be a customer for many years to come. Comments: Cash + has been a great product for VTS. The simple fact that Hansen software coordinates with us to install and assists on the installation is great. However for Hansen software to take it to the next step and coordinate with the customer on training of the software is something you don't see too often with vendors anymore. The clients that we have installed the software have been extremely happy with the product and service from Hansen software. 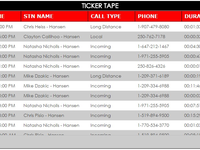 Cash +Call Recording and Call Accounting has been a great choice for VTS to add to our portfolio. Cash + is a cost effective solution for my clients and the support that VTS receives Alyssa has been great. The software works exactly as described and customer service I've received to date is superb. Pros: We required a few report customisation's that wasn't out of box functionality. Hansen software was able to make the changes to meet our requirements and was completed in a very short time frame. We're now able to export the report in a number of different formats for various purposes and audiences (i.e. Managers, Analysts, Developers). Thank you Vinh for the review. I'm happy to hear that we were able to assist in some customisation that allowed you to receive more value from the product. Wonderful! They are never more than an phone call away, always a pleasure to deal with! Pros: I love that the reports are set up to automatically be emailed once a month. I can always count on the report being there when I'm ready to do my month end. Cons: I think only once I struggled with the set up on the server, but their customer support was more that ready and willing to help. Pros: I have not used any other online recording products to compare this product too. This product is so easy to use. The report list is vast and they are easy to manipulate. You can find the information you are looking for in a minute. Overall: Clearing up discrepancies with client issues. 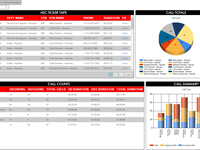 Comments: This product has been a great addition to our CRM system. It allows managers to effectively coach sales people through their daily activities ensuring that all are complete. 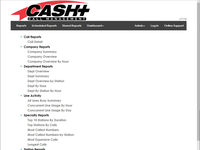 Cash Call Management is very easy to use and can provide reports in seconds of what is happening in your business. The team at Hansen Software got us up and running in a timely matter and are always very quick to respond if there are any technical issues. Cash Call is a must if you want to keep tack of what is happening in your business on a daily basis. Comments: I've been very impressed with the responsiveness of the customer service & development team at Hansen Software. Training on the software has been prompt and comprehensive, and when we asked for a custom report and a few changes to existing reports, they were able to complete them in a couple weeks. This turnaround time was fantastic, and much faster than expected! Everyone has been very friendly and easy to work with, and the software is easy to use once you figure out which of the many reports are most useful to your business. Great to work with. Always answers questions and concerns in a timely manner. Pros: What I like most about this software is that it is it is easy to work with. I am able to go in and generate phone usage reports as I need them and I am also able to look up information for our residents about their phone usage. Who they may have called and what the charge was for it. Cons: What I least like about this software it that we seem to have computer issue with it. I believe it is just that on our end the computer will go offline so that it will not let us or anyone else generate reports on it. I will contact Cash and I will get help right away with what is the issue and what we need to do to fix it. I don't believe this issue has to do with this company I believe it is our computer itself. Other then that there is not many cons to working with this software. Overall: We are able to generate reports for our residents that specially reports on the phone usage for each of our residents and very detailed reports. Comments: Hansen Software has a couple of great products that we offer our clients( Call Accounting and Call Recording ) The Staff at Hansen Software are very knowledgable and pleaseant to work with (always willing to do a WEB-X to show our clients their products) and once we make the Sale and install the software - Hansen takes it from there and they will train the customer ! Comments: We updated our old Call Accounting system which was only used for charging long distance calls to accommodation guests. 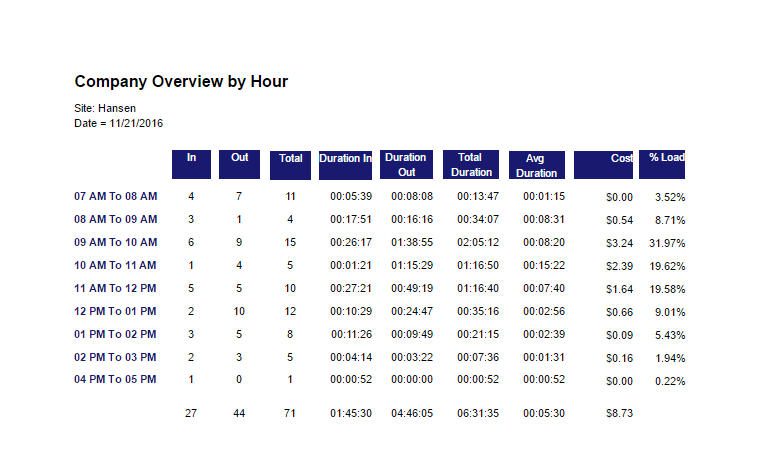 The new Cash + Call Accounting software allows us to now also monitor both incoming and outgoing calls from department and individual stations. A bonus for monitoring staff or retrieving missed phone numbers from potential clients. Comments: we have been working with Hanson for quite some time and always they are very quick to respond to my request. They have very detailed demos for the customer. i would recommend them to anyone that is looking for a recording or accounting solution. Thank you for your review & your feedback. Comments: quick and friendly response, stayed on the issue until resolved. I received email updates and phone calls to double check if everything was in working order. Comments: We are always provided by a knowledgeable sales or service representative in a timely matter. Fantastic! Comments: Have been using the software for about 3 months. Provides me all the reports and information I need daily.